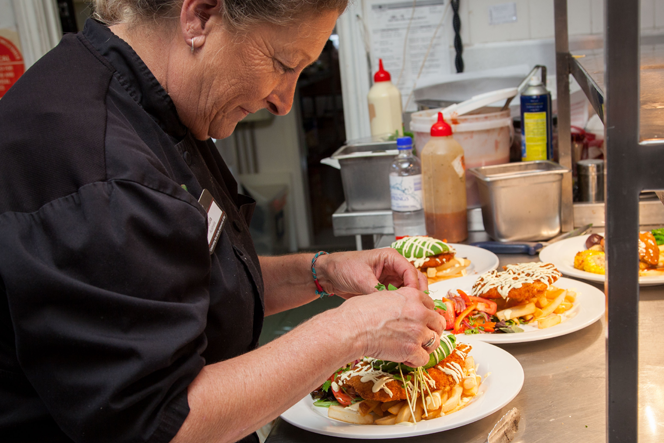 Image: Chef Paula hard at work… again! Don’t wait for Halloween as an excuse to enjoy Pumpkin Pie! It is delicious any time of the year. 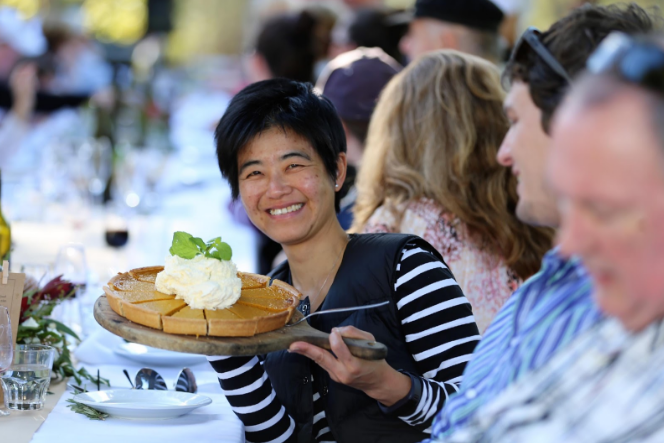 After four years of finessing her culinary skills managing Canungra Valley Vineyard’s Vintage Restaurant, Chef Paula’s famous pumpkin pie made it’s debut at the 2017 Eat Local Week Longest Table Luncheon. Utilising the freshest pumpkin produce from White’s Farm in nearby Kerry Valley, guests of over 100 have been singing her praises regarding this diverse dish ever since! In a saucepan over medium heat, cover the pumpkin with water and bring to the boil. Reduce heat to low, cover and simmer for 30 minutes or until tender. Drain, cool and cut away skin. Return pumpkin to the saucepan and mash with a potato masher. Drain well and measure 500g of the mashed pumpkin; reserve and excess pumpkin for another use. Prepare pastry by mixing together the flour and salt. Rub butter into flour and add 1 tablespoon cold water to mixture at a time. Mix and repeat pastry is moist enough to hold together. Cut off any pastry hanging over the sides of the dish, and pinch pastry securely around the inner edge. Refrigerate and remaining pastry for another time. To taste some more of Paula’s amazing food, make a reservation at Canungra Valley Vineyards.